In support of the Australian Chief Scientist’s #StorytimePledge, we share a post we first published in partnership with Science Book A Day in 2015. Ten excellent books on women in STEMM! After all, you can be a child and read to yourself or share with a child at any age! Immersing yourself in the story of an amazing woman in STEMM makes for inspirational holiday reading. Thanks again to George Aranda for partnering! 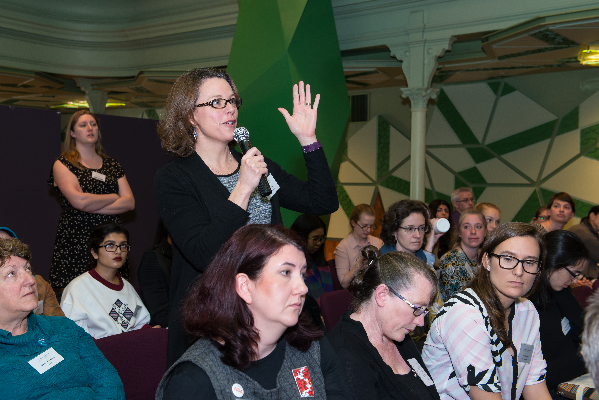 Women in STEMM Australia connects women in science, technology, engineering, mathematics and medicine (STEMM) across every professional sector – education, research, industry, academia and government – regardless of their profession. Our blog aims to highlight the issues, but also to extend the discussion to solutions – how can these issues be addressed? What can we do as individuals, institutes and at a national level? How do we encourage girls to pursue science and retain women in STEMM leadership? We also share personal stories and feature the amazing women in Australian science. We are active on social media – Facebook, LinkedIn and Twitter. So when @PopSciGuyOz, George Aranda, tweeted “Hi there @WomenSciAUST. Would you be interested in doing a list of ’10 Great Books on Female Scientists’? for @ScienceBookADay” – we couldn’t refuse! On behalf of Women in STEMM Australia, these inspiring men and women in science have come together to present our top reads. A few folks dusted off old favourites from the shelf while others shopped avidly online for the latest book in press. Nights were spent avidly turning pages and afternoon coffee breaks spent tapping away on mobile devices. These books are either written by or are about women who have had a major impact on science. Together, we can do amazing things. If you identify as a woman in STEMM, or you champion change in STEMM, then Women in STEMM Australia is for you. Join this important discussion and learn more about the phenomenal women in STEMM Down Under!